For years, farmer Walter Kopple has been wary of his odd pig Pearl. Some days Kopple’s even afraid of him. But it’s not until Pearl convinces the farmer’s grandson to murder a fellow pig in the pen that Pearl realizes the extent of his own psychic power. 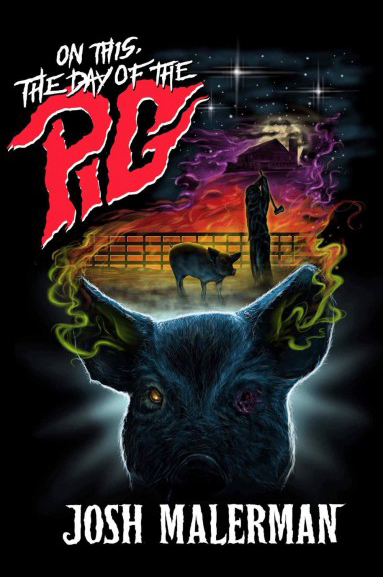 Rumor of the killing spreads fast in small town Chowder, and between the teenagers who come looking for the “telepathic pig,” the farmer’s daughter who knows he must be stopped, and the town leaders who come to kill him, Pearl is gonna see just how strong his mind has gotten, on this, the day of the pig.